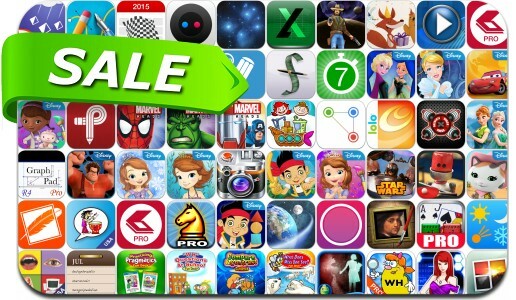 iOSnoops is constantly on the lookout for great deals, and here are 59 iPhone and iPad apps that have just been discounted. This app deal alert includes Chess Pro, Nameless: the Hackers RPG, Shiver: Vanishing Hitchhiker, Table Tennis Touch, 7 Minute Workout Challenge, BeatBurn Elliptical Trainer, Parker Planner, PhotoArtista, Create Flyers & Logos, Phoenix Pro Photo Editor, Sofia the First: The Floating Palace, MacID for iOS, KitCamera., Sofia the First Color and Play and many others. Frozen Story Theater - Now with Frozen Fever!